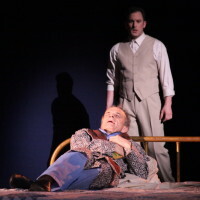 Libretto by Gene Scheer. For baritone, men’s chorus, actor, flute, clarinet, violin, cello, piano and percussion. 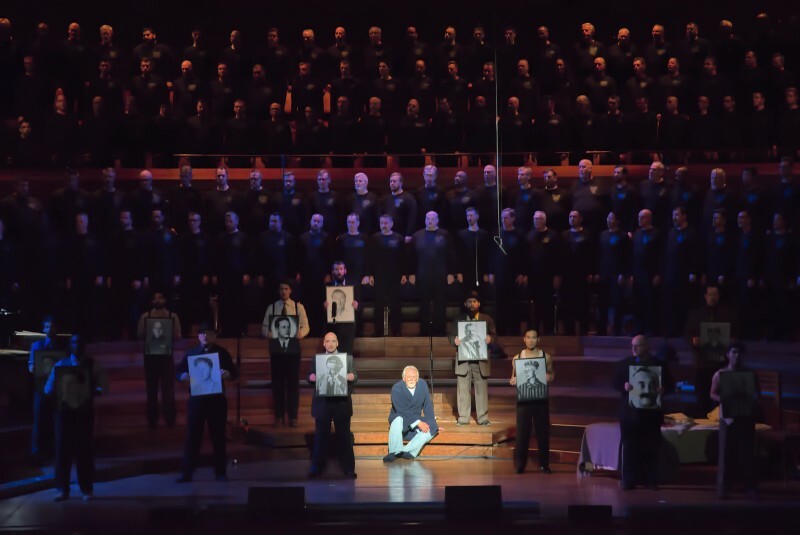 Originally commissioned by Music of Remembrance, this second incarnation was commissioned by the Seattle Men’s Chorus and The Boston Gay Men’s Chorus. 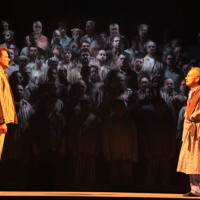 First performance: April 2, 2011 at McCaw Hall, Seattle, with baritone Morgan Smith, actor David Pichette, Seattle Men’s Chorus and instrumentalists from the Seattle Symphony, conducted by Dennis Coleman, directed by Andrew Russell. For A Look Or A Touch is a story about the persecution of gay men during the Holocaust. 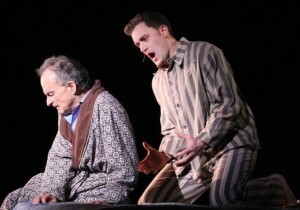 Librettist Gene Scheer based his text on true stories told in the documentary film Paragraph 175 and the journal of Manfred Lewin, from the United States Holocaust Memorial Museum in Washington DC. 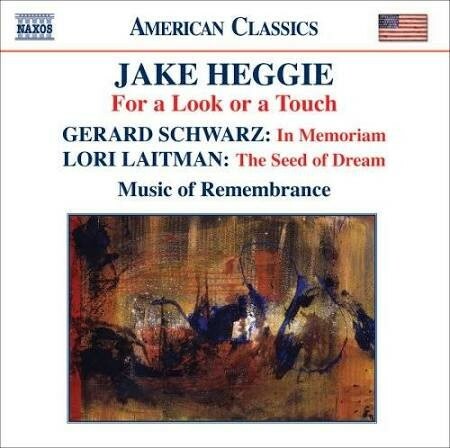 Recordings of this composition are available. See Out of Darkness (Naxos) and For A Look Or A Touch (Naxos). 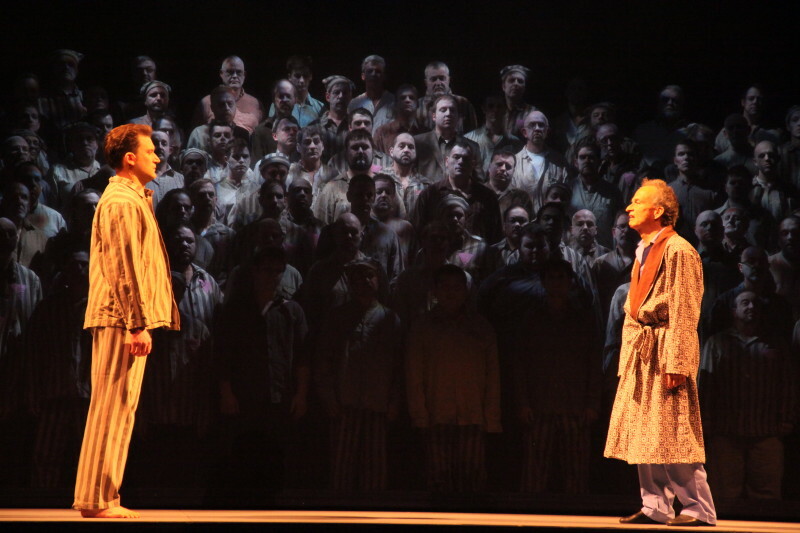 ATLANTA Out of Darkness: Two Remain at the Atlanta Opera. 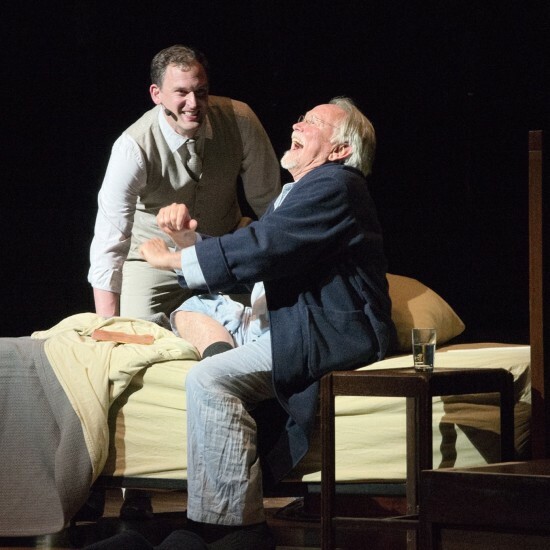 Heggie and Scheer’s two-act Holocaust remembrance receives its first fully-staged production in the intimate Balzer Theater at Herrem’s, directed by Tomer Zvulun. Cast TBA. 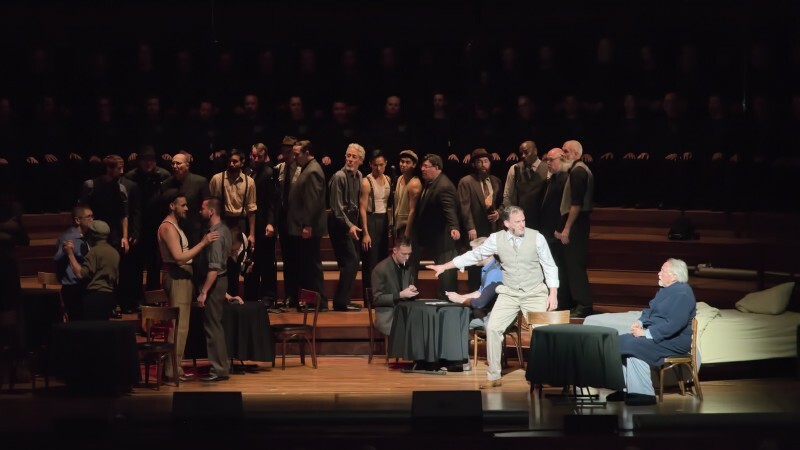 BALTIMORE Out of Darkness: Two Remain workshop production presented by Peabody Chamber Opera at the Peabody Conservatory of the Johns Hopkins University in Baltimore, MD: Garnett Bruce, director; Eileen Cornett, music director. 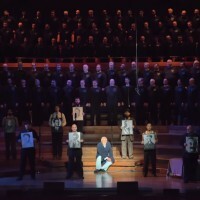 AMSTERDAM For a Look or A Touch at the Dutch National Opera featuring baritone Bryan Jolly (Manfred) and actor Alexander Oliver (Gad), directed by Wim Trompert. 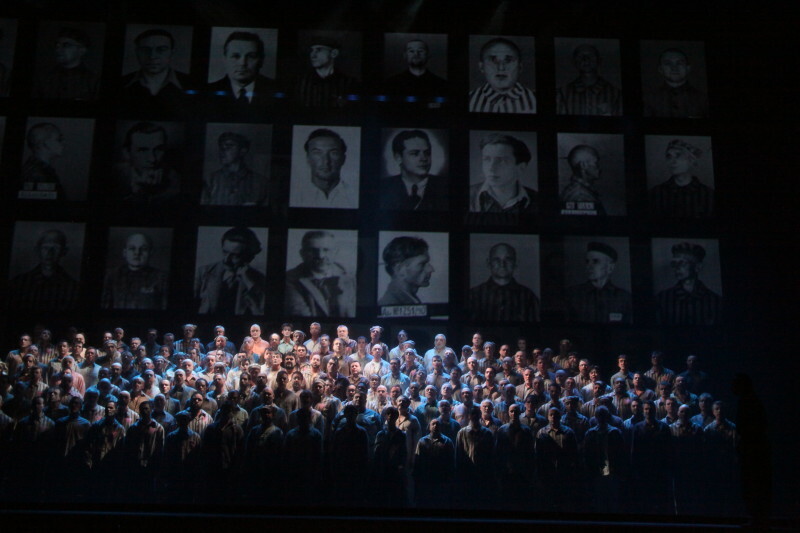 SAN FRANCISCO Out of Darkness – Premiere production of a new opera by Heggie and Scheer, based on Holocaust stories commissioned by Music of Remembrance (Mina Miller, artistic director) at the San Francisco Conservatory of Music. With soprano Caitlin Lynch (Krystyna), soprano Ava Pine (Krysia), mezzo-soprano Catherine Cook (Zosha), baritone Michael Mayes (Manfred), and baritone Robert Orth (Gad). 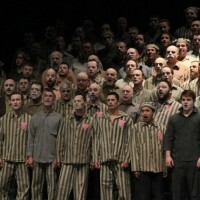 SEATTLE Out of Darkness – World premiere of a new opera by Heggie and Scheer, based on Holocaust stories commissioned by Music of Remembrance (Mina Miller, artistic director) at Benaroya Hall in Seattle, WA. With soprano Caitlin Lynch (Krystyna), soprano Ava Pine (Krysia), mezzo-soprano Catherine Cook (Zosha), baritone Michael Mayes (Manfred), and baritone Robert Orth (Gad). SAN FRANCISCO Farewell, Auschwitz performed by Music of Remembrance as part of the Music at Meyer series at Temple Emanu-El in San Francisco. 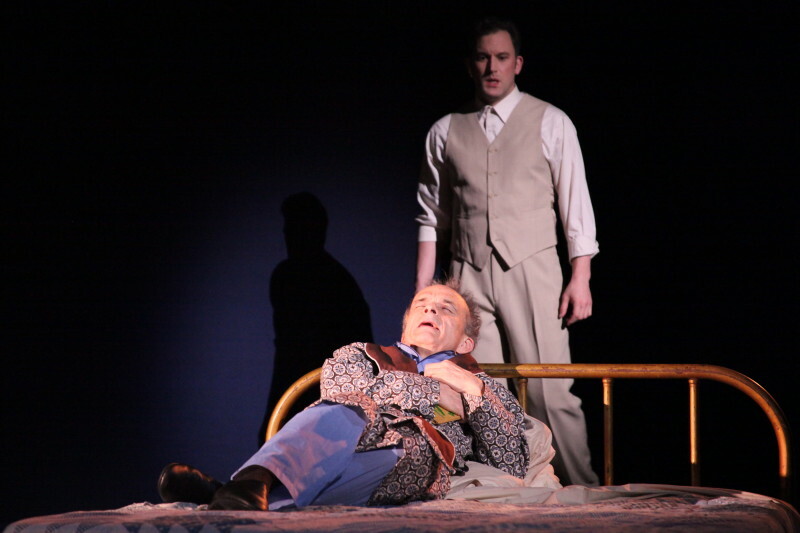 Soprano Ava Pine, mezzo-soprano Catherine Cook and baritone Robert Orth join players from the Seattle Symphony on a program that also features After Life, a new one-act opera by Tom Cipullo that imagines Gertrude Stein and Pablo Picasso after their deaths. Temple Emanu-El at 7:30pm. 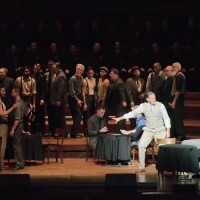 SAN FRANCISCO San Francisco Gay Men’s Chorus performs For A Look or A Touch at Davies Symphony Hall with baritone Morgan Smith and actor Kip Niven, conducted by Tim Seelig. 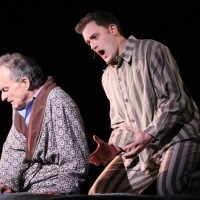 Baritone Hadleigh Adams also performs. Davies Symphony Hall, San Francisco, 8pm. SAN FRANCISCO A Preview of For A Look or a Touch, presented by the San Francisco Gay Men’s Chorus at the Contemporary Jewish Museum, 736 Mission Street, San Francisco. 3pm. Free with museum admission. 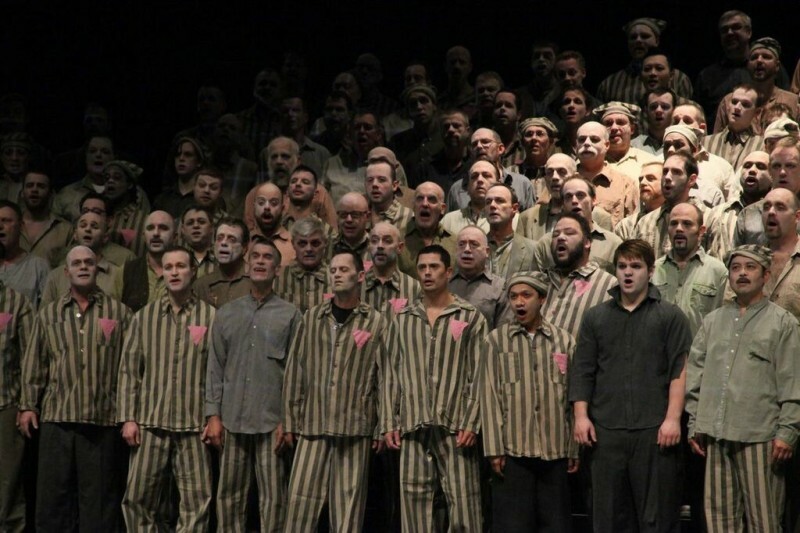 For a Look or a Touch in Germany – Seattle Men’s Chorus will travel with 130 singers, musicians, actors, and artistic and production staff for a 12 day tour of Germany with their production titled Falling In Love Again, featuring Jake Heggie and Gene Scheer’s one act opera. Performances in Berlin, Leipsig, Dresden and Cologne/Krefeld. 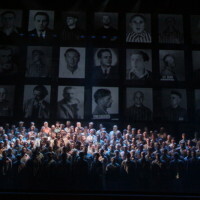 SEATTLE World premiere of “Farewell, Auschwitz!” commissioned by Seattle’s Music of Remembrance; Mina Miller, artistic director. 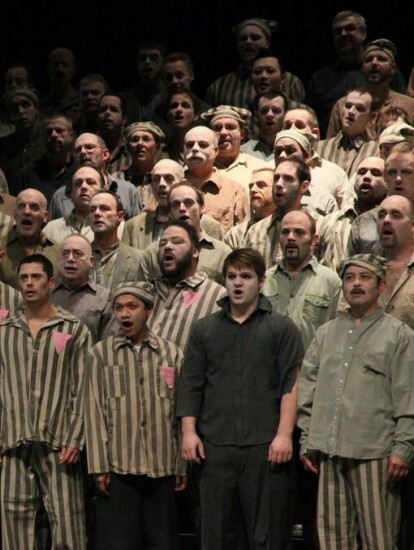 The new work, for three singers and instrumental quintet, is based on lyrics by Polish dissident and Auschwitz survivor Krystyna Zywulska in poetic translations by Gene Scheer. Soprano Caitlin Lynch, mezzo-soprano Sarah Larsen and baritone Morgan Smith perform at Nordstrom Recital Hall in Benaroya Hall, Seattle, WA. For A Look Or A Touch performed by The Heartland Men’s Chorus at the Folly Theater in Kansas City, MO with baritone Morgan Smith (Manfred) and actor Kip Niven (Gad).